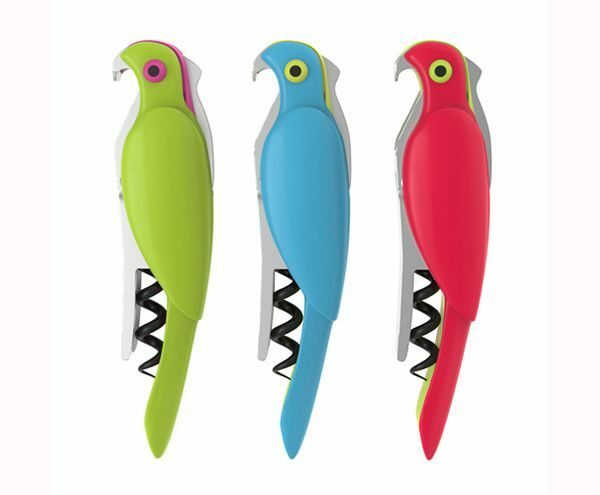 With a curved bill and soft plumage, this drinking sidekick is ready to open wine bottles. 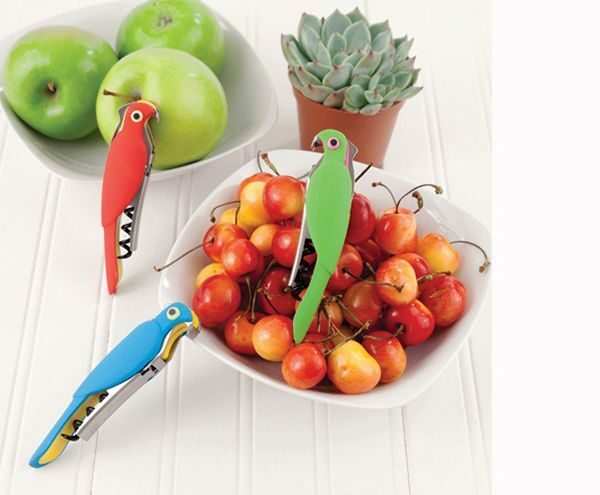 He's a multi-functional bird who a-parrot-ly likes to have fun! 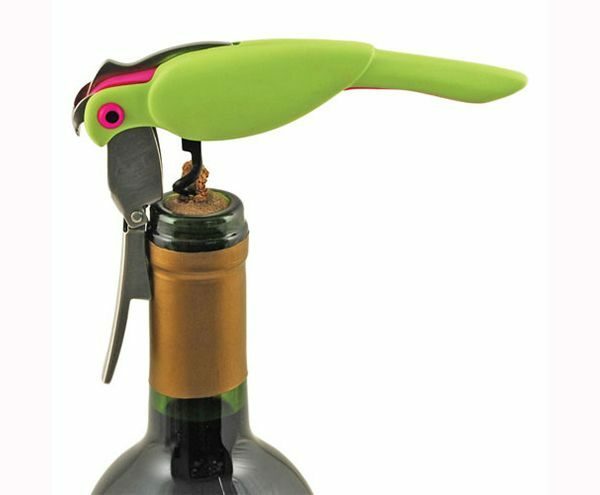 Double hinged for extra leverage, integrated beer cap opener, serrated foil cutter, soft-touch body, brushed aluminum metal.